Challenges are a popular way to attract more followers, engage your audience and increase blog's visibility. They're also a great practice for online shop owners and marketers, as it can boost sales and grow their business. Blog challenges offer a lot of value to your readers and keep your blog fresh by producing authentic content created by them (User-Generated Content). A challenge, while it might require some preparation from you to nail down an enticing theme, set up rules and select the appropriate prizes, only takes a few easy steps to launch it with InLinkz. 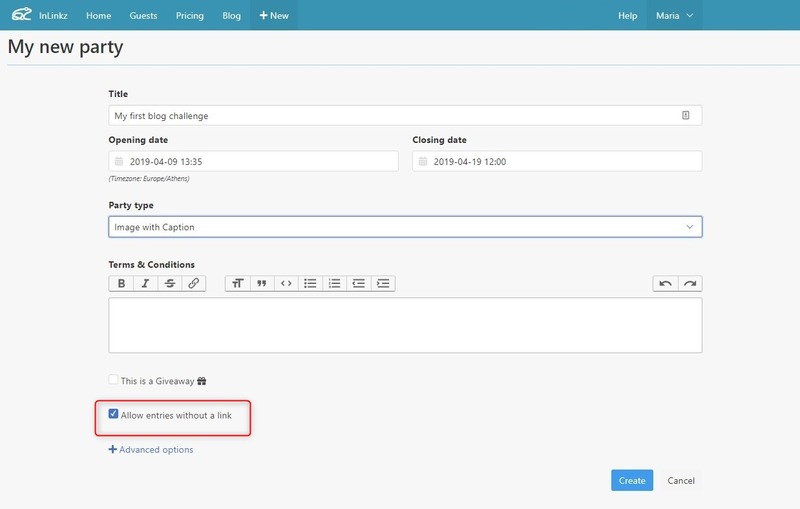 Let's explore how an InLinkz challenge works and how to host a challenge where everybody could join, even if they don't have a blog. Heretofore, in order to join an InLinkz blog challenge, it was required from entrants to submit a link, which usually was the URL of their blog post or their social account. 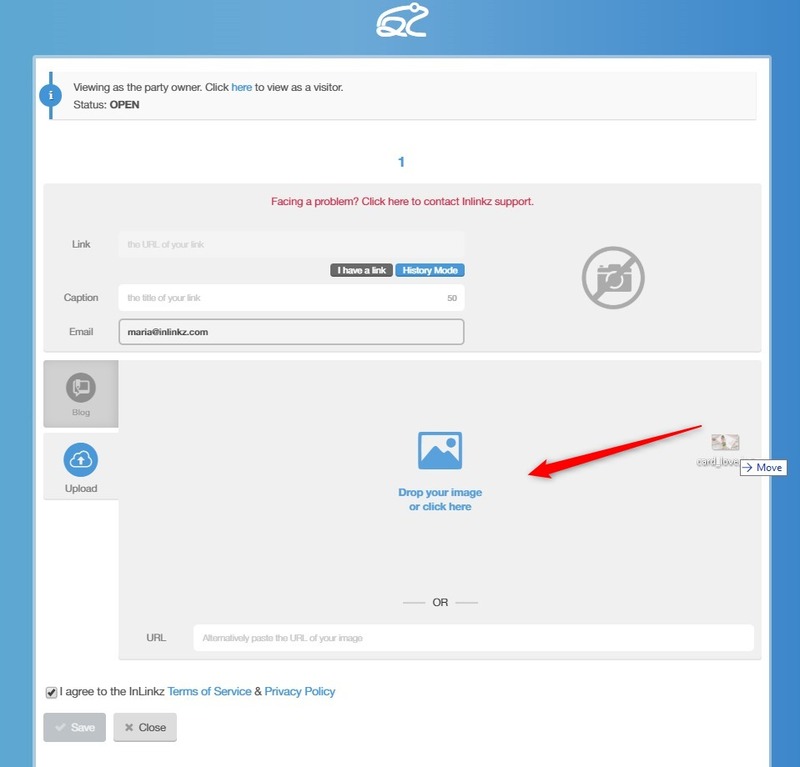 Now, hosts can allow their entrants to join a challenge (or a giveway), even if they don't have a link to sumbit. How to set up a challenge open to all. 1. 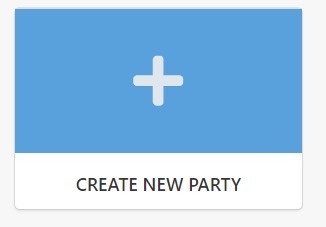 Go to your InLinkz dashboard and create a new party. 2. Fill in the basic details of the challenge. Set your terms and conditions. 3. Enable the "This is a Giveaway" option, if you want to pick randomly a winner at the end of the challenge. 4. 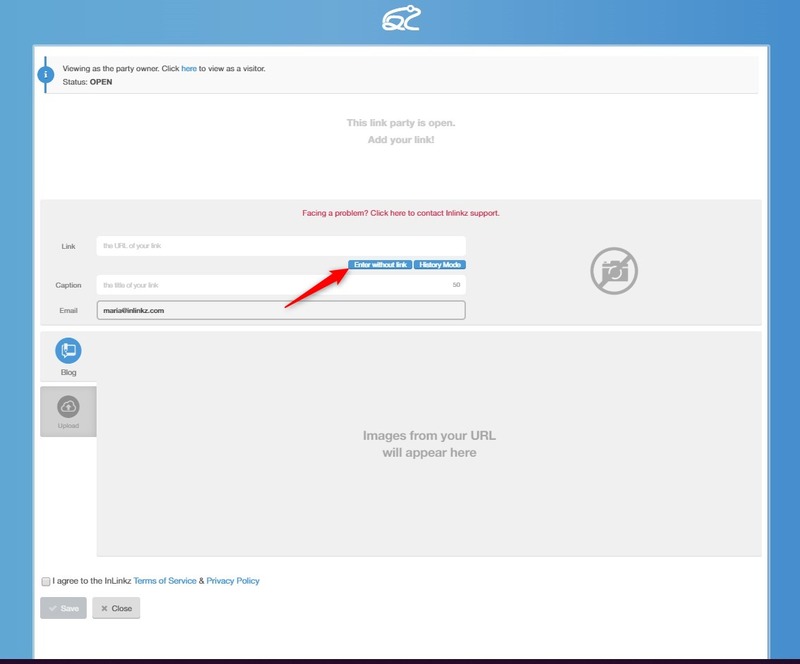 Enable the "Allow entries without a link" option. Click to create the challenge. 5. 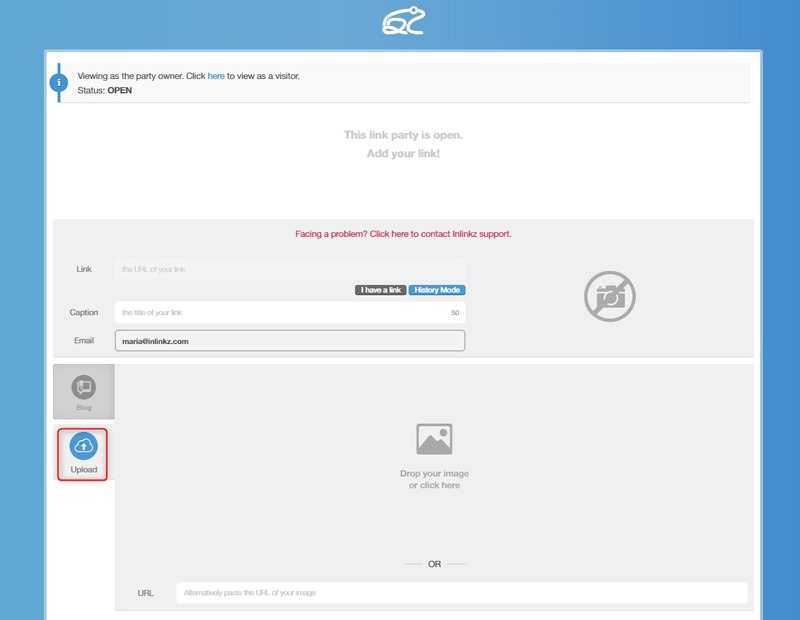 Once the challenge opens, the +Add Links option will be shown up. The challenge now is ready to accept entries. 2. 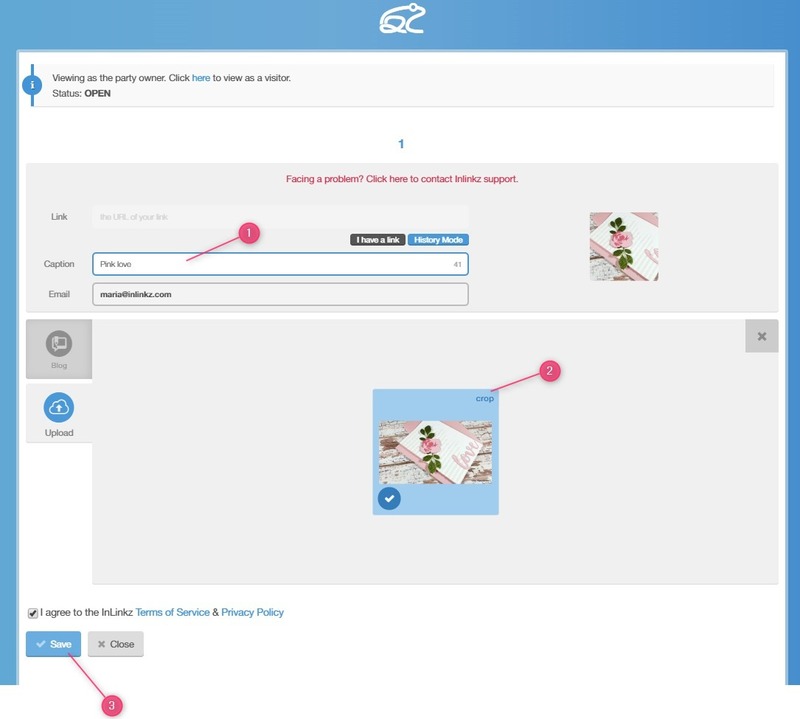 Once they click on it, the widget will automatically switch to the upload functionality. 3. 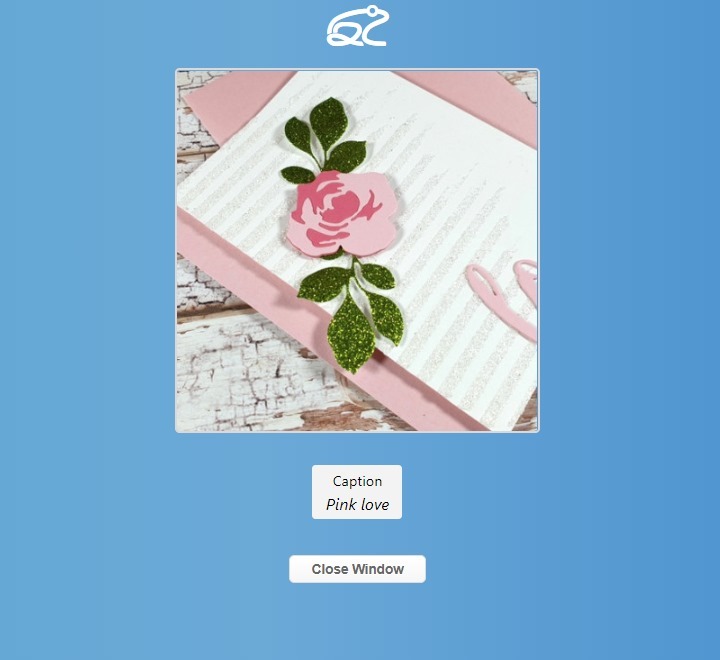 The entrants can now save an image on their computer and drop it in the widget. 4. Once they bring the image in, the only thing left is to enter a caption that describes the image, adjust it to fit, if necessary and save. 5. Here is how it will look like when the image added successfully. 6. Since no link will have been assigned to this image, people that click on that image, will be directed to an InLinkz-hosted page to view it in a bigger scale. 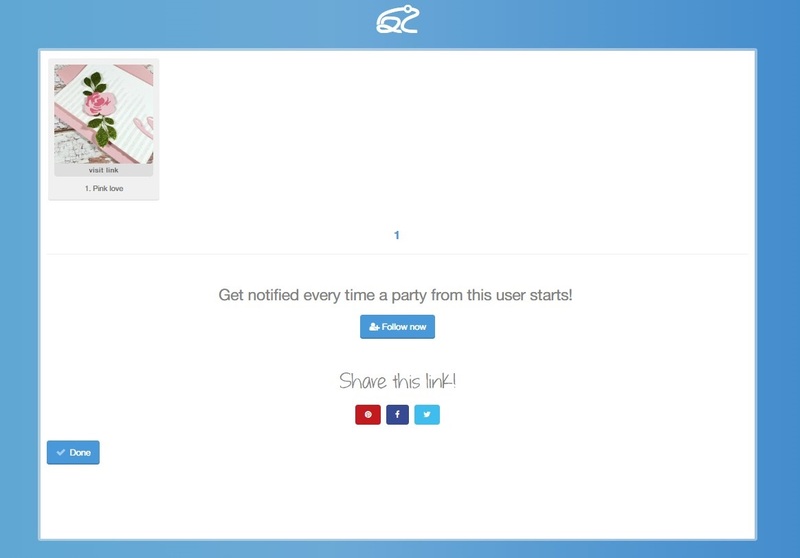 InLinkz encourages entrants to spread the word about a challenge by providing easily sharing buttons for Pinterest, Facebook and Twitter. This is a great way for the host (you) to reach a wider audience. Don't miss promoting your challenge and talk about it on your own social networks and invite people to join so as to increase your exposure.